StayLinked is proud to announce that ScanTexas is now StayLinked Certified. 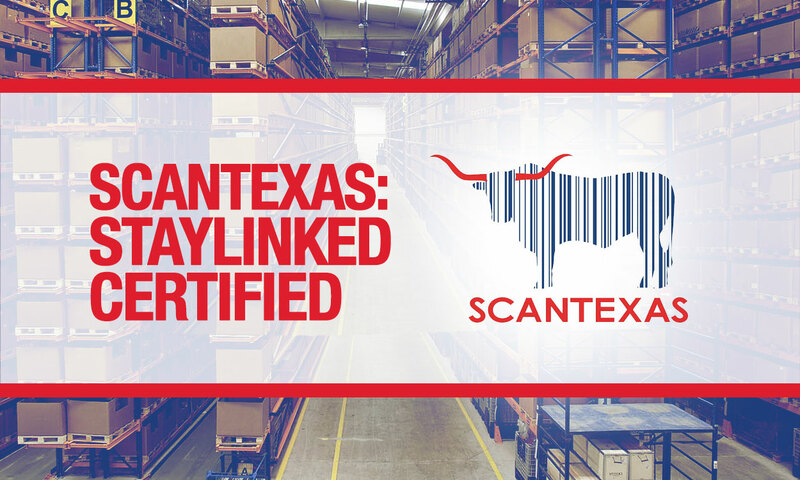 With StayLinked Certification, ScanTexas has further strengthened their ability to provide migration and modernization services for enterprise warehouse environments. The Lucas, Texas-based company works with companies in Texas and surrounding states to achieve the next level of mobile productivity with their "Ditch the Keys, Double Your Speed" philosophy applied to smart telnet solutions. For 20 years now, ScanTexas has had an overall focus on the complete barcode experience, from barcode scanning and label printing to SAP mobility solutions. “ScanTexas is excited to partner with StayLinked to help customers continue to push for more productivity in their use of mobile computers, " says Mark Alyn of ScanTexas. "StayLinked solutions allow ScanTexas to give customers needed productivity enhancements right now while maintaining the existing and highly customized telnet host solution they have." To achieve StayLinked Certification, ScanTexas's engineers completed rigorous testing to reinforce their effectiveness in providing exceptional service to their customers. With StayLinked Certification, ScanTexas has ensured that their engineers and service teams are up to date on the latest StayLinked product features and capabilities giving them added expertise to maximize their customers’ investments. John Haller, StayLinked's Director of Technical Training and Support, also commented on the success of the certification process. “Scan Texas is a great addition to our certification program. As a company, they've recognized the value and potential to their customers. There's no substitute for the training offered at our headquarters and it's great to have partners that invest in efficient and productive solutions." The training took place at StayLinked headquarters in Irvine, California. The sessions consisted of multiple days of focus on StayLinked's existing functionality as well as of new features emerging from StayLinked Labs. Value Added Reseller - Representatives have demonstrated expertise in standard configuration and implementation. Solution Provider - Demonstrates expertise in typical solution stack diagnostics and advanced configuration. System Engineer - The most technically advanced representative of the StayLinked solution and all of the most advanced features and diagnostics. Please contact our sales team for course availability, pricing, and information.